If you have ever tried finding a plain yet well-cut shirt you will know how difficult it can be. The plain ones are often of poor quality that are not built to last and the rest will have some funny print or detail spoiling the clean look. People have their own personal definition of what a classic design is. We like this one: [Simple; elegant, lasting]. 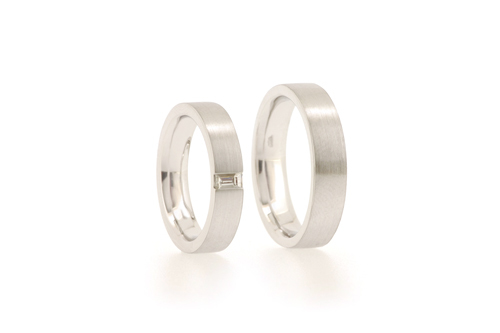 Lasting is a factor especially relevant when it comes to wedding rings. 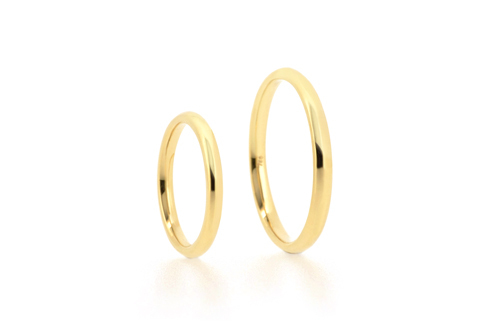 Made to be worn often and for many years, wedding rings should reflect who you are, but do not necessarily need to be statement pieces. When designing wedding bands, it can be good to choose a design that you will not have to ‘match’ your other jewellery or clothes with. Although trends do not come and go as frequently in jewellery as they do in fashion, it can be risky to choose a design based on trends, as it can become outdated. A white shirt never goes our of style – shoulder pads do.